Our SKP2-S Stand Alone Access Controller Key Pad with Built in Card Reader allows controlled entry access to as many as 2,000 users. The SKP2-S is well contained in a waterproof and is weather proofed for outdoor stationing. 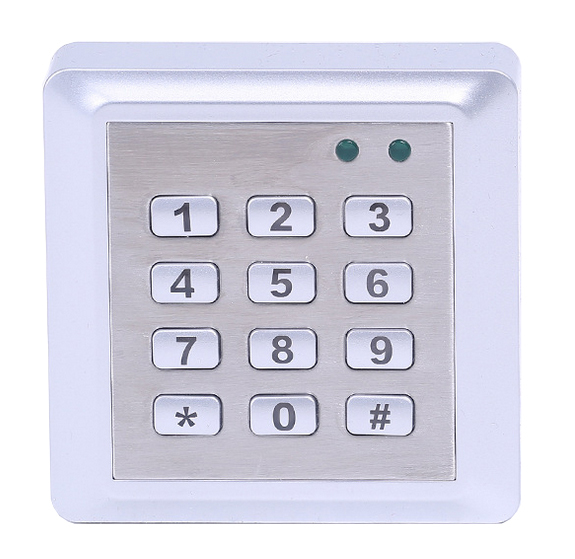 The SKP2-S can allow access using a PIN or a key card. The keypad is blue backlight for visible nighttime entry. The unique feature of our SKP2-S is that it can be used completely separate from any other security system, and all programming is done directly from the keypad. Our user-friendly, easy to install SKP2-S’s simple interface can be used on any door. Apartments, condominiums, business offices, parking garages, schools & colleges, and assisted living facilities are only a few venues that benefit from our SKP2-S Stand Alone Access Controller Key Pad and Built in Card Reader. Contact us for more information.